Our company has a known name in manufacturing of glazed Metal Windows with Operable shutters, that is ergonomically designed to lend style to the Interiors as well as Exteriors. 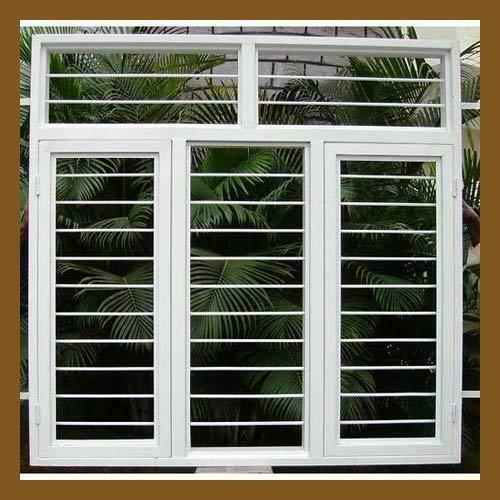 These Windows are Manufactured Using GI Sheet (Zinc Coated Sheet) and are Fitted with Mild Steel Grill which is Totally Welded to the Frame thereby Assuring Safety, Further these Windows are PU Powder Coated to give Long Life and add Elegance to it and are Available in Standard Sizes to Meet and Suit to all Customer's Requirements. We "Aacess Tough Doors Private Limited" are one of the leading manufacturer of Portable Cabins, Metal Doors, Metal Windows, Knock Down Portable Partitions and Solar Structures. Banking on the pillars of Design Excellence, Innovation, Quality, and Performance. We, have attained established credentials as trusted manufacturer and exporter of aesthetically crafted Doors, Windows and Porta Cabins. Our Product Product Portfolio encompasses a unique and impressive variety of Steel Doors, S S Fire and Emergency Doors, Supported by Metal Windows, Partitions and Porta Cabins. Available in Multiple Designs, Colors, Texture and Finish Options, Each of these products is beautifully designed to complement and form of home/ Office Interiors.